Combatting unconscious bias with virtual reality (VR). Learn how Red Hat University joined forces with Lucid Dream to develop an immersive learning environment and bring the subtleties of unconscious bias to life. See how VR helps learners not only recognize unconscious bias but act in the moment to address it. Live demos will be conducted at the conclusion of the session. 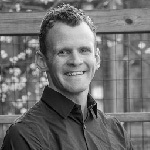 Josh is a virtual and augmented reality (VR/AR) entrepreneur, strategist and creative technologist with a background in corporate sales, marketing, training and recruiting. He is the co-founder and CEO of Lucid Dream, a Durham, NC-based company specializing in VR/AR software solutions for large enterprises, government agencies, nonprofits, and universities. Prior to Lucid Dream, Joshua served as an executive advisor and sales trainer at CEB (now Gartner), providing strategy consulting to Fortune 500 sales executives and their teams, and conducting supporting research for the development of the Challenger Selling Model. An avid outdoorsman, world traveler and lifelong conservationist, Joshua is a graduate of Duke University. 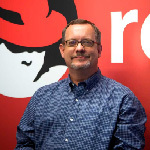 Michael joined Red Hat in March 2015 as senior director, Red Hat University. In this position he leads a global team of 45+ learning and development professionals responsible for manager and leadership development, technical development, sales development and professional development for all Red Hat employees. Prior to joining Red Hat, Michael held leadership positions for multiple learning and development teams at Cisco (2011 – 2015) and IBM (1999 – 2011). Michael has a master’s degree in education from George Washington University, a bachelor’s degree in mechanical engineering from Georgia Tech, and spent six years as an officer in the U.S. Navy.